“Everyone said it’s impossible and yet, today, we stand here in front of you. 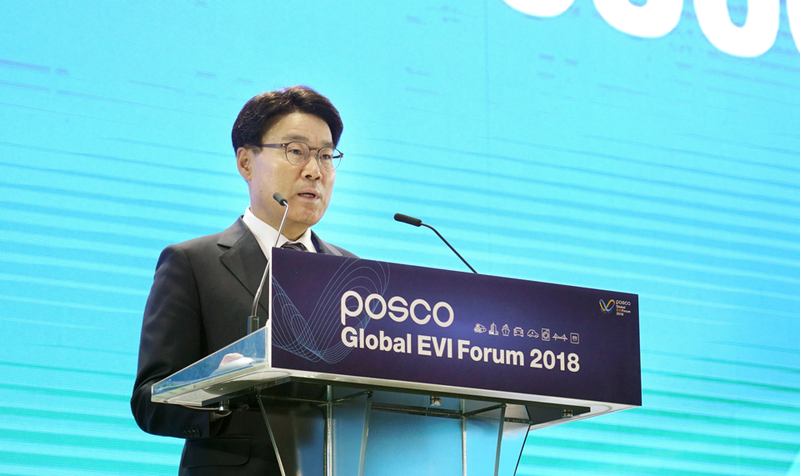 As one of the leading global companies in the steel industry,” said POSCO’s CEO Jeong-Woo Choi in the keynote speech that kicked off the POSCO Global Early Vendor Investment Forum, a biannual Forum POSOCO has been organizing since 2010. In his speech “Next 50 Years with POSCO,” commemorating the 50th anniversary, the CEO shared POSCO’s vision for the future of the steel industry and extended the company’s appreciation to their devoted customers, promising yet another 50-year of commitment to excellence. In this global Forum that attracted more than 1,400 attendees from all corners of the world, the Futurist CEO Glen Hiemstra, the Auto/Steel partnership Executive Director John K. Catterall and Edwin Basson of the World Steel Association also participated as the Forum’s main speakers. In the separate events held in the afternoon, the participants further exchanged ideas on topics that will guide the industry future. While Michael Kervy, the Corporate Strategic Research Manager of the Exxon Mobil led the discussion on The Future of Global Gas Industry, Stefan Röthlin of Jansen AG talked about Smart Construction Methods for Steel-Frame and Glass Façade Systems. High-performance plate for eco-friendly energy and eco-friendly ships were also amongst many topics meant to embrace the environmentally sustainable future. At “World Premium, a side-held event POSCO also organized, showcased more than 120 products corresponding with each sub-theme of the Forum, such as Hot Rolled Steel, Smart Construction, and Electrical Vehicle Material, among others. The products exhibited at the Premium applied steel technology invented by POSCO and presented differentiated solutions that could set that tone for the future trend in the steel industry. Over 130 steel and nonferrous metal companies from around the world gathered to showcase their latest industry trends. 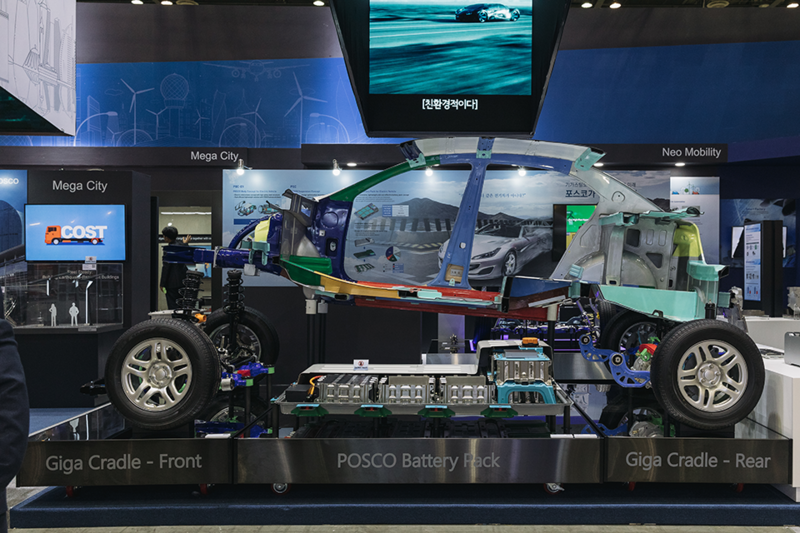 POSCO, a dedicated participant since SMK’s first launch back in 2010, presented an unparalleled portfolio of advanced products aimed to drive the company’s growth into a global centennial brand. In line with the effort to honor its 50th anniversary, POSCO outlined the future vision that innovative steel technologies will help create. As Korea’s top steel producer, POSCO occupied the largest exhibit space and set up three mega-trend-themed zones: ‘Eco Energy’, ‘Mega City’ and ‘Neo Mobility’. ‘Eco Energy’ drew a sustainable picture of the future city landscape using eco-friendly energy, one of the key displays being PoSWIND, a wind turbine bearing that is more durable to corrosion and damages. 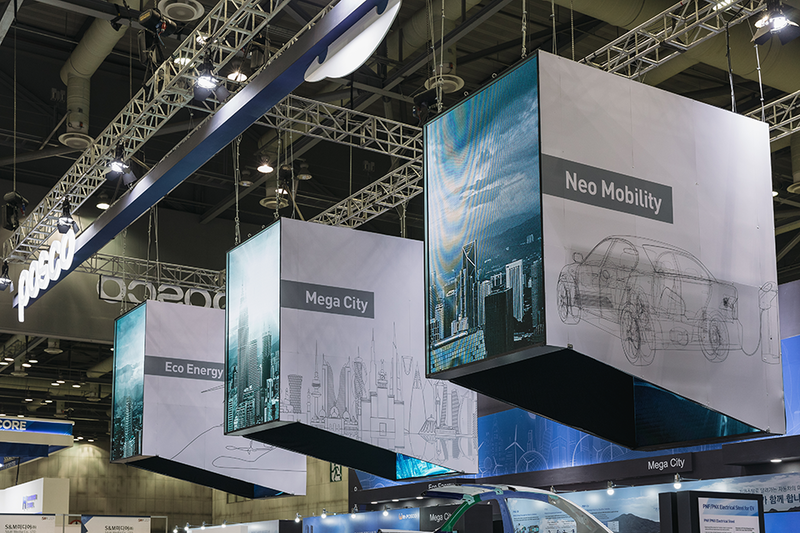 While ‘Mega City’ illustrated future daily life, exhibiting a steel cable for mega-bridges, a lighter and faster car of the future was on display in the ‘Neo Mobility’ zone, with life-size electric vehicles. 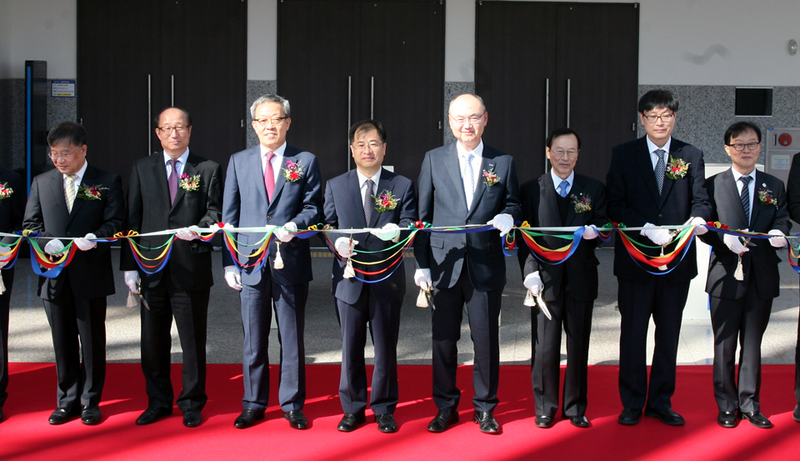 Ribbon cutting ceremony at the 5th Steel & Metal Korea show, held at Exhibition Center II of KINTEX on October 31. Photo courtesy of Steel & Metal News. 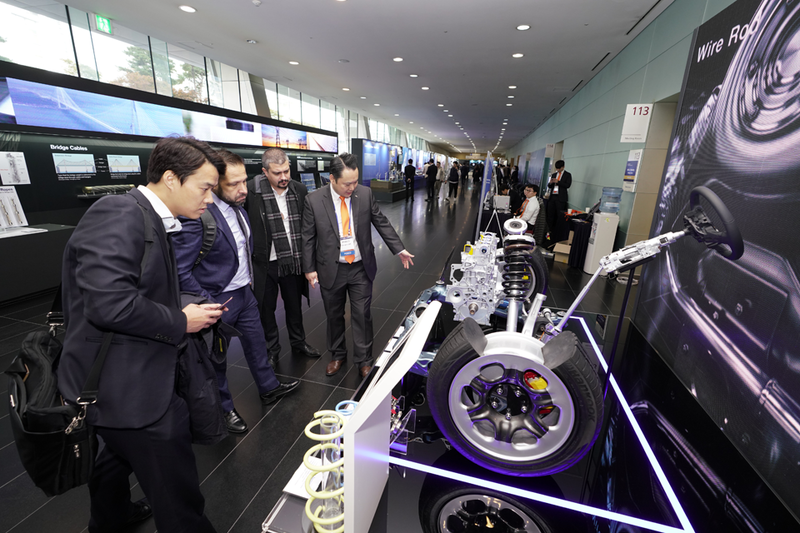 In the event with over 30 stakeholders from Korea and abroad, POSCO presented a vision for the innovative technology as well as its commitment to a sustainable future.